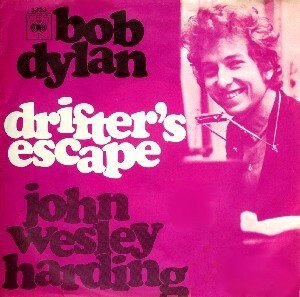 John Wesley Harding produced two singles and Jimi Hendrix covered both of them. The better known – by a country mile – is “All Along the Watchtower”, which Hendrix completely transformed, turning it into one of Dylan’s best known songs. Far less known is his cover of the first single, “Drifter’s Escape”, which he recorded in 1970, and which was released on one of his posthumous albums, Loose Ends. Hendrix’s version of this song isn’t radically different than the one Dylan recorded. The song itself makes only a bit of sense lyrically. A man is accused of a crime, but he doesn’t know why. He eventually escapes from the false accusations when lightning hits the courthouse and he slips away. Not much of a story, then the end. 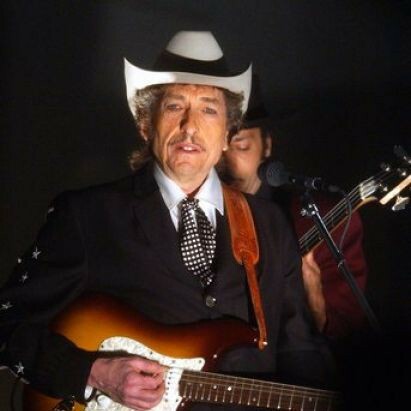 “Drifter’s Escape” has been interpreted as revealing Dylan’s persecution complex, which would make sense given his experiences of the previous year while on tour in the UK. If that’s the case, and I’m not really so sure that it is, it’s hardly the same kind of rumination that “Positively 4th Street” is. Perhaps he’d mellowed. Certainly took on an additional resonance given that context. Since that time Dylan has increasingly integrated the song into his sets.